Credits: "Brenda Godinez at Unsplash.com"
Chia seeds come from a flowering plant called Salvia hispanica (part of the mint family) native to deserts throughout South, Central, and North America. Although Chia seeds are just recently gaining popularity as a nutrient-packed superfood, they were actually a staple in Mayan and Aztec diets as far back as 3,000 B.C. It is said that warriors relied on chia seeds for sustained energy and healing properties. The Tarahumara Indians of Mexico credit chia seeds as the driving force behind their astonishing stamina in long distance running. Each tiny chia seed is packed with anti-inflammatory omega-3 essential fatty acids, fiber, protein, calcium, antioxidants, and more. Two tablespoons of chia seeds contain approximately 139 calories, 9 grams of fat, 12 grams of carbohydrates, 11 grams of fiber, and 4 grams of protein along with a lush amount of vitamins and minerals. Why Are Chia Seeds a Skin Superfood? Chia seeds are not only nutrient powerhouses for sustained energy but a wonderful addition to any diet to provide many important benefits for skin health. One serving of chia seeds contains even more omega-3 fatty acids than flax seeds (See Table 1 for comparison). Omega-3 fatty acids have been shown to improve acne, reduce photodamage caused by sun exposure, and possibly reduce the risk of skin cancer. Free radicals are damaging molecules that develop in response to stresses, such as inflammation and smoking as two examples. Chia seeds were found to possess nearly double the antioxidant capacity than previously thought with the ability to quench nearly 70% of free radical activity. Antioxidants are important in skin health to fight damaging free radicals caused by the environment as well as free radicals that are produced as part of the natural aging process. 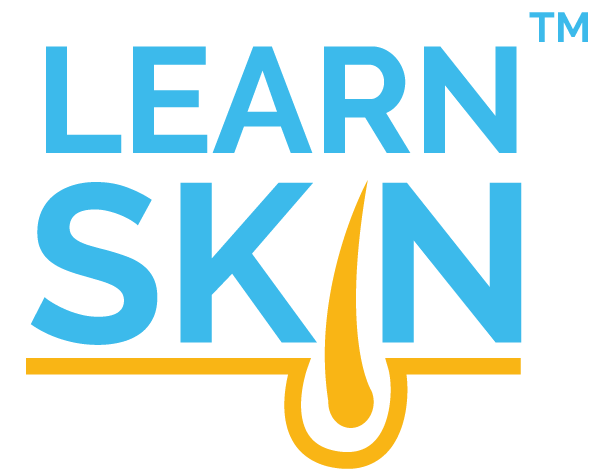 Supplementation with niacin has been shown to improve symptoms of both acne and rosacea. Chia seeds contain approximately 8.6 mg of niacin per 100g serving, which is 43% of the daily recommended value of niacin. Amino acids derived from the protein in chia seeds contribute to collagen and elastin, which provide fullness and structure to the skin. When chia seeds come into contact with liquid, they form a “jelly” coating, which is believed to prevent spikes in blood sugar. This may help alleviate skin conditions such as acne, which can be worsened by high blood sugar and insulin spikes. What Are Ways Chia Seeds Can Be Eaten? Chia seeds have a neutral, sometimes slightly nutty flavor, making them easy to incorporate into a wide variety of snacks and meals. When mixed with water, chia seeds form a thick gel and can be eaten alone or used creatively to make healthy pudding or drinks. Chia seeds are an interesting and tasty addition to many foods. Chia seed gel: Mix 1/3 cup of chia seeds with 1 cup of water and let sit for 30 minutes until it forms a thick gel. Sprinkle over food: Chia seeds can be sprinkled over salads, vegetable dishes, oatmeal, yogurt… the options are endless! Add chia seeds to smoothies for an extra nutritious treat! Make fancy beverages: Add 1-2 tablespoons of chia seeds to iced tea or juice to create a nutritious and fancy boutique beverage. 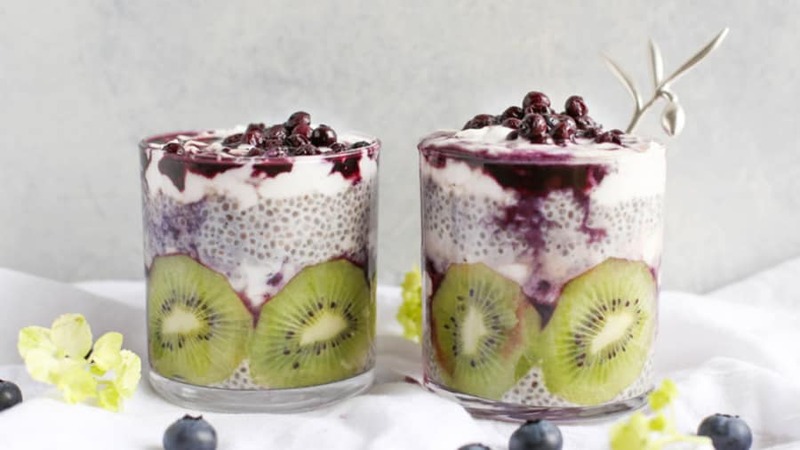 Nutritious desserts: Substitute traditional pudding for healthy chia pudding for a guilt-free dessert. Condiments: Add chia seeds to homemade fruit jams and sauces to create extra thick texture. Chia seeds can be found in certain commercially available food products, such as bread, tortillas, and crackers. Ayerza R, Coates W. Composition of chia (Salvia hispanica) grown in six tropical and subtropical ecosystems of South America. Tropical Science.2004;44(3):131-135; PMID. Cooper R. Re-discovering ancient wheat varieties as functional foods. J Tradit Complement Med.2015;5(3):138-143; PMID: 26151025. Scheer JF. The Magic of Chia: Revival of an Ancient Wonder Food. Berkeley: Frog Books; 2001. Jung JY, Kwon HH, Hong JS, et al. Effect of dietary supplementation with omega-3 fatty acid and gamma-linolenic acid on acne vulgaris: a randomised, double-blind, controlled trial. Acta Derm Venereol.2014;94(5):521-525; PMID: 24553997. Sies H, Stahl W. Nutritional protection against skin damage from sunlight. Annu Rev Nutr.2004;24:173-200; PMID: 15189118. Black HS, Rhodes LE. Potential Benefits of Omega-3 Fatty Acids in Non-Melanoma Skin Cancer. J Clin Med.2016;5(2)PMID: 26861407. Martinez-Cruz O, Paredes-Lopez O. Phytochemical profile and nutraceutical potential of chia seeds (Salvia hispanica L.) by ultra high performance liquid chromatography. J Chromatogr A.2014;1346:43-48; PMID: 24811150. Basavaraj KH, Seemanthini C, Rashmi R. Diet in dermatology: present perspectives. Indian J Dermatol.2010;55(3):205-210; PMID: 21063507. Niren NM, Torok HM. The Nicomide Improvement in Clinical Outcomes Study (NICOS): results of an 8-week trial. Cutis.2006;77(1 Suppl):17-28; PMID: 16871775. Mitchnick MA, Fairhurst D, Pinnell SR. Microfine zinc oxide (Z-cote) as a photostable UVA/UVB sunblock agent. J Am Acad Dermatol.1999;40(1):85-90; PMID: 9922017. Rostami Mogaddam M, Safavi Ardabili N, Maleki N, et al. Correlation between the severity and type of acne lesions with serum zinc levels in patients with acne vulgaris. Biomed Res Int.2014;2014:474108; PMID: 25157359. Ullah R, Nadeem M, Khalique A, et al. Nutritional and therapeutic perspectives of Chia (Salvia hispanica L.): a review. J Food Sci Technol.2016;53(4):1750-1758; PMID: 27413203.